These bakers create edible art with their cakes which are jaw-dropping. 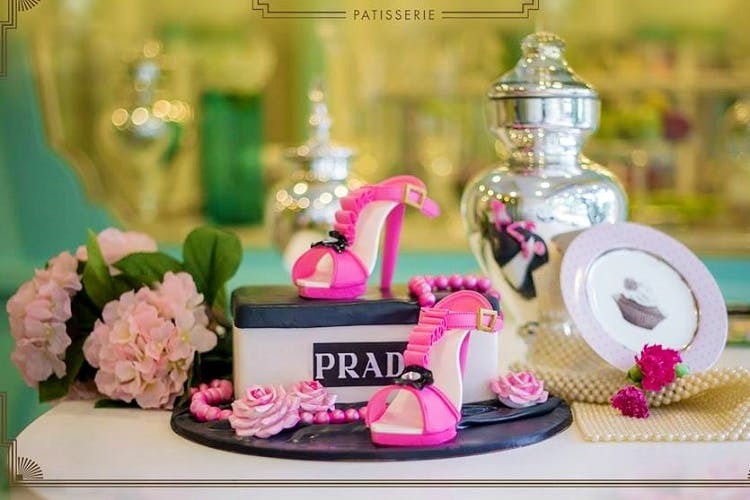 Here are 5 places you can get your own customised sinfully delicious and stunning cakes for your next celebration. A dainty little cake shop with the prettiest made-to-order cakes, Little Pleasures is exactly what its name says it is. Head on over to the Unicorn Room to brainstorm on a one-on-one session with the owner who will make sure you have the cake of your dreams. We love the chocolate fudge and caramel cake. The Naked Cakes with fresh fruit look sinfully tempting. Our advice, avoid going in the afternoons, the roads surrounding it are jammed with choc-a-bloc traffic. This home-run bakery creates the most exquisite designs. We love the children’s cakes especially. Take a look at her Facebook page where she has pictures of everything from Disney themed cakes, an entire edible circus cake, and a giant reindeer Christmas cake. With incredible detail and effort put into it, these cakes will make your mouth water. Pick up is just across the road from Acropolis Mall and fairly easy to find. Give the owner a call, she has some pretty great ideas on how to take your cake to the next level. You knew Mama Mia! had awesome gelato but did you know that they also sell ice cream cakes that are perfect for the summer? Mama Mia! makes cakes filled with their own creamy 99% fat-free gelato in a number of tempting flavours. We love the Ferrero Rocher cake and the Oreo Cake. Complete with tempered chocolate, spongy cake and laden with toppings, these cakes are a sight for sore eyes. They are also ideal for sharing. But once bought, head straight home after purchasing this cake; it melts really fast! From wedding cakes to themed cupcakes, Yummy Puds does it all. The owner will hear out your idea and personalise the cake. It’s also 100% vegetarian and all the cakes are eggless. If you are the adventurous sort, try the offbeat flavours like saffron and pistachio. Be sure to pre-order as the cakes are all made to specification.